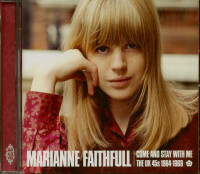 The A- and B-side of the ten singles Marianne recorded for UK Decca between 1964 and 1969, as well as her Go Away From My World EP. 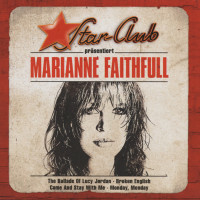 All tracks are in authentic mono, just like the current 45s, mastered from the best possible sources, including some fresh Abbey Road transfers from the original tapes. 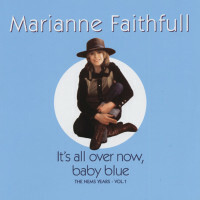 The CD includes Marianne's top 20 hits As Tears Go By, Come And Stay With Me, This Little Bird and Summer Nights, as well as lesser-known jewels such as Something Better, That's Right Baby, House Of The Rising Sun, Counting and the controversial cult favourite Sister Morphine. 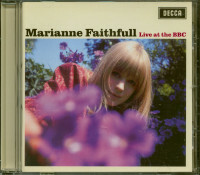 Producers include Andrew Loog Oldham, Mike Leander, Tony Calder and Mick Jagger. The lush 24-page booklet features a 6000-word note by leading music journalist Kris Needs and contains many luminous quotes from Marianne herself. In addition to the beautiful cover shot by photographer Tom Frank, the magazine also features seven stunning full-page color images from the mid-1960s. Customer evaluation for "Come And Stay With Me - The UK 45s 1964-1969 (CD)"